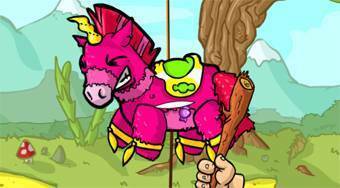 Do you like Pinata Hunter 3? Share it with your friends. Pinata Hunter 3 - with all your force beat the rag animals and catch the falling sweets for which you can buy different improvements.